← Big Bar Prom = Big Success! 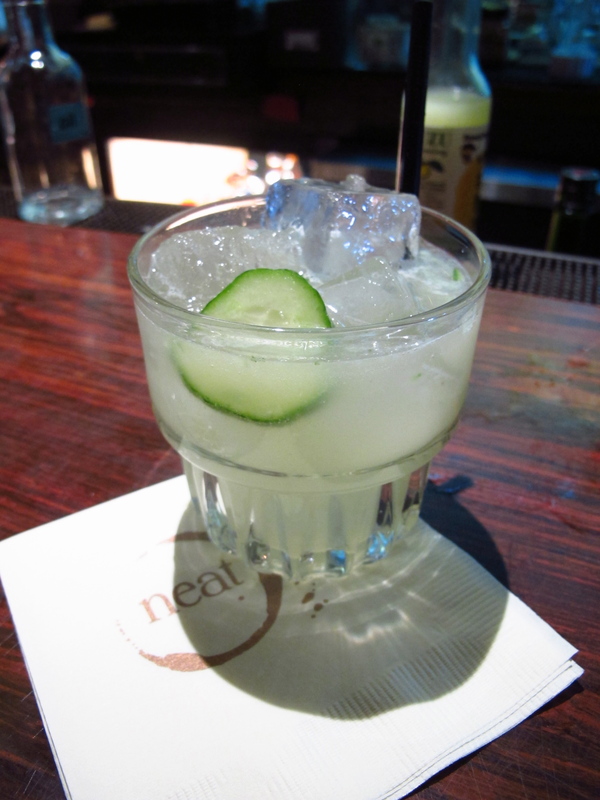 Created by Yuval Soffer of Neat, I had this drink for the first time this week-end and loved it. Yuval has chosen to play with some different Japanese flavors- the Sake, Yuzu essence, Shiso leaves and Japanese cucumbers create an interesting combination. The event I attended had him using Pisco Porton which is actually a great Pisco with complex flavors, slightly earthy but smooth with residual sugars. It complemented this drink beautifully. The drink is refreshing, light and sweet. The Aloe Vera juice adds something really different and was a taste I don’t think i’d ever actually experienced before. I know it’s a lot of fairly unusual ingredients to find for this recipe, but if you get a chance I strongly recommend trying it.